SMC2 innovates with its economic and ecological concept: the gymnasium designed for dynamic sports. 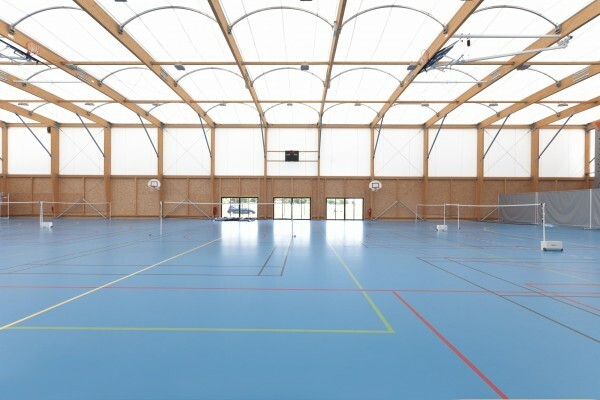 This gymnasium is suitable for dynamic sports (handball, basketball, indoor football, volleyball, badminton, etc.) for daily use in all seasons. It can be heated to 16°C occasionally for specific events during the year.Thermal comfort is ensured by gas radiant panels associated with an SMC2 exclusive air treatment system. 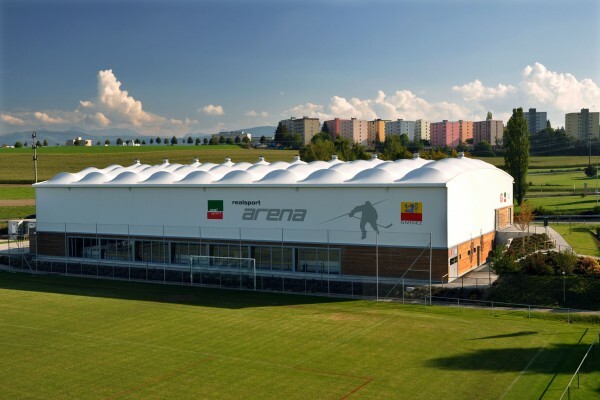 The design of a temperate gymnasium associates the most demanding environmental standards with architectural design: a glue-laminate wood framework combined with a translucent fabric membrane cover. A temperate gymnasium is up to 50% more economical at the time of investment than a gymnasium heated to 16°C. Building a temperate gymnasium is a sustainable action for the control of your budgets and the protection of our planet.